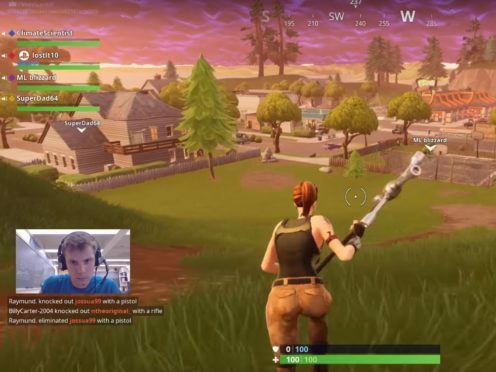 A group of scientists is spreading knowledge about climate change using the powers of Fortnite. Recognising the game’s huge popularity, the Climate Fortnite Squad saw an opportunity to talk climate change among players in a fun way. 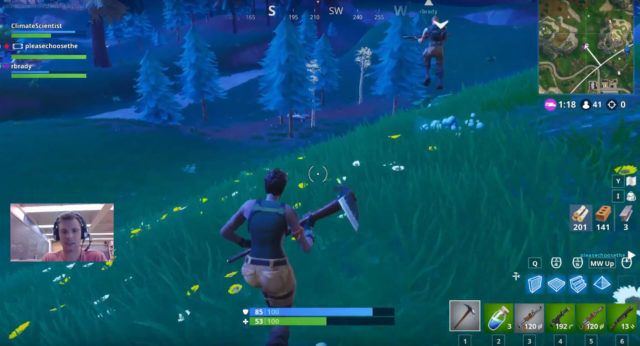 Katharine Hayhoe, a climate scientist, sparked the idea in July after noticing her 11-year-old child’s first person Fortnite videos were getting around 10,000 views – while her webinars on YouTube were only getting about 1,000 views. This urged Henri Drake, a Physical Oceanography PhD student, to make a call out for other climate scientists to get involved and led to the creation of the Climate Fortnite Squad, who discuss climate issues over game play in the multiplayer mode. “Most of the reaction I’ve gotten so far is from the climate science and climate communications community, which has been incredibly supportive,” said Drake. “We haven’t had too much reaction from the gaming community yet (natural, I think, because most of the people I know are in the climate community) but I’m hoping at least a good subset of them like the idea. Now a number of experts participate in the stream twice a week, talking about everything from how ice ages work, to climate politics and inviting others to play and chat with them. The method provides a uniquely entertaining approach to the matter, as players abruptly jump from climate talk to battle talk at random points throughout the game. “We’ve improved a lot since the first day, which was so incoherent I had to spend several hours editing a 15-minute highlight clip out of a two-hour stream,” Drake added. While climate change discussion is the group’s aim, it hasn’t stopped them from winning a round on Fortnite. In fact, the Climate Fortnite Squad celebrated its first win last week, over a conversation about the upcoming midterm elections in the US. Drake’s work on the game also hasn’t gone unnoticed by climate change denialists, but had managed to convince one player. “After working through a few of the points he eventually got to, ‘Okay so climate change is real, but I don’t like liberal policy solutions to it’ and I was pretty happy with that as a start,” he said. Now the MIT (Massachusetts Institute of Technology) graduate is looking into branching out into other games and getting more scientists on-board. “Ideally, we would eventually have seven different scientists streaming once a week each so we could have a stream going every night,” Henri continued. “Scientists usually work upwards of 50-60 hours a week already so individually we don’t have the bandwidth to compete with major streamers, but I think if we pool our time we can make an impact on the streaming community.